In this lesson, we’re going to take a look at some of the basic types of musical notes. Just click any of the links in the table of contents below to jump to that section. Where do you place the dot? When playing music a musician needs to know how long to play each sound for. Composers tell them by using different note symbols. Let’s take a look at some of them now. 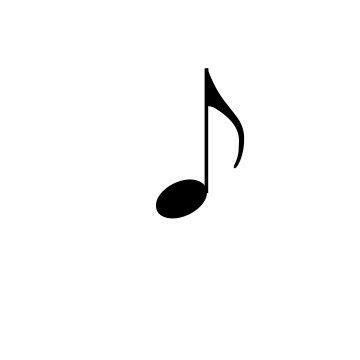 The first note is called a semibreve or in the US it’s called a ‘whole note’. It’s like a small oval shaped zero or letter O which is a good way to think of it when you first begin writing music. We call this oval-shaped part of a note ‘the note head’. 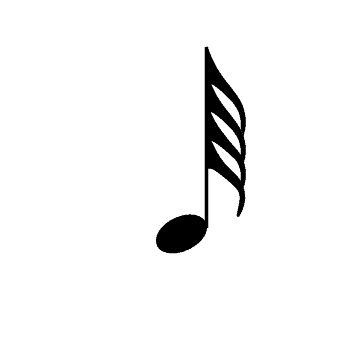 A semibreve has a value of four beats. That means when we play a semibreve we count to four whilst holding the note. The second note we’ll look at is called a minim or ‘half note’. It’s similar to a semibreve but has a line coming out of the right-hand side of its note head. This line is called a stem. The stem halves the value of the note and so a minim has a value of two beats. That means that we count to two when playing a minim, half as long as a semibreve. Next, we have a crotchet or ‘quarter note‘. It’s like a minim but, it has its note head filled in black. This halves the value of the note again and so a crotchet has a value of one beat, half as long as a minim. It’s like a crotchet but, it also has a tail coming out of the side of its stem. The note tail is also referred to as a flag or a hook. The tail halves the value of the note again and so a quaver has a value of half a beat, half as long as a crotchet. It’s like a quaver but has two tails coming out of its stem. This means that it’s half the value of quaver and so is worth one-quarter of a beat. Here we have a demisemiquaver or ‘32nd note’. You can see it has three tails (one more than a semiquaver). A demisemiquaver is worth half the value of a semiquaver and so is worth one-eighth of a beat. Those are the main notes you’ll come across and use in musical notation but you can get shorter and longer notes too. A hemidemisemiquaver (I know it’s a bit of a mouthful) or in the US it’s referred to as a ‘64th note‘ is just like a demisemiquaver but with an additional tail. It’s very uncommon though so don’t worry about it too much! You can get even shorter notes than this such as the semihemidemisemiquaver (128th note) and the demisemihemidemisemiquaver (256th note) but I’m not going to cover those as they’re extremely rare. You can also have a note called a breve or ‘double whole note’ which is worth eight beats, twice as long as a semibreve. It’s quite uncommon as well but you will need to know about it for a grade 5 music theory exam. Here’s a chart of all the different types of common musical notes with their US and UK names, an image and then the number of beats they’re worth. As well as the stems of notes being able to point upwards they can also point downwards. 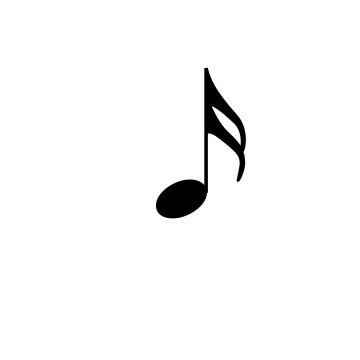 When a note’s stem points upwards, it comes out of the right-hand side of the note head. But, when a note’s stem points downwards, it comes out of the left-hand side of the note head. There are some rules to know about to determine which way the stems should point though. I cover some of the basics in this post here about notes on the stave. The most important thing, however, is to always have the stem on the correct side of the note head. As you hopefully spotted above it’s not the same with notes that have tails like quavers and semiquavers. Note’s tails always come out of the right-hand side of the stem, no matter whether or not they’re pointing up or down. The way to remember this is that tails always follow the direction of the music. In other words, we read music from left to right. So the note tails always point in the direction of the music. When we have two or more notes with a tail (like quavers and semiquavers) next to each other, we join their tails together with a beam between the tops of their stems. This is to help make it easier for musicians to read the notes. Let’s look at how to beam quavers. When we beam quavers together we join the stems together using their note tails. There are lots of rules and conventions about how many quavers we can beam together. But I’ll cover those in another post on grouping notes in different time signatures. It works the same with semiquavers but instead of having one beam between their stems we use two beams. This is because they have two tails. For demisemiquavers and hemidemisemiquavers we would just add an additional beam or two depending on how many tails the note has. We can also have different combinations of quavers and semiquavers beamed together. There are some rules about how to beam and group notes in different time signatures that we’ll cover in a later lesson too. Sometimes when writing music a composer might want to make a note last longer than a note’s value. When this is the case we can use a dotted note to extend the duration of the note. This dot after the note head makes the note longer by half its value. When we dot a note that is on a line on the stave, we place the dot in the space above the line. 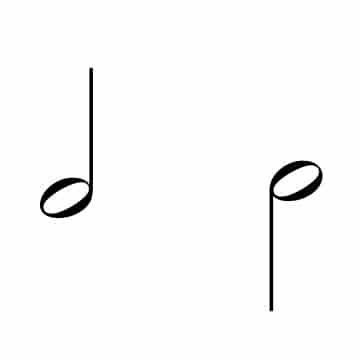 And when we dot a note that is sitting in a space of the stave, we place the dot in the same space as the note head. We can’t have a dotted note go across a bar line though. If we want a note to go over a barline then we use a tied note which we’re going to have a look at next. A tie is a sloped line that joins together two notes that are next to each other and have the same pitch. This means that the time values of the notes are added together to create a longer note. They don’t have to be the same time value either, you could have a crotchet tied to a quaver, or a minim tied to a crotchet etc. When we write a tie we always write it from the note head of the first note to the note head of the second note. At the opposite end to the stem. This is also the case when the stems are pointing downwards. The last thing to mention is that we can tie together any number of notes together and they can also go across bar lines. But, they have to be the same pitch. If the notes are different pitches then you’ll be drawing a slur line. Music isn’t all about sound, sometimes not playing a note is just as important. All the different types of musical notes we’ve learnt above have a corresponding symbol telling the musician not to play and to be silent. We call these symbols rests. 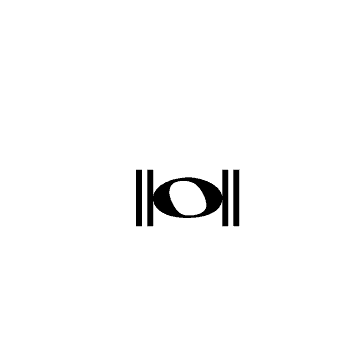 You can read more about the different music rest symbols here. That’s it for now, hopefully you understand how to read and write music a little better. But, if you have any questions about anything covered in this post just leave a comment below.